To get a FREE Sample Jar of Country Chic Paint, enter your name, email and submit. 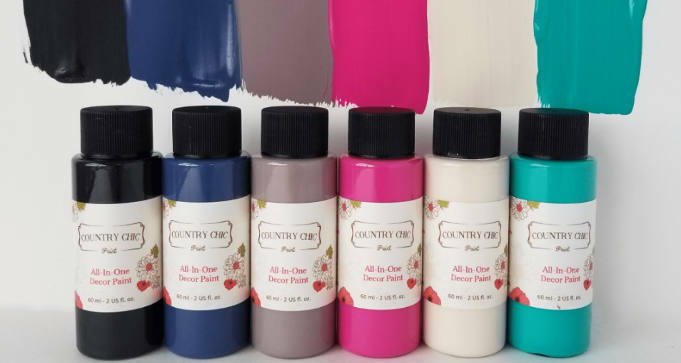 You’ll receive a unique voucher via email that you can use to pick up one FREE 2 oz jar of Country Chic Paint at any of their participating retailers! Limited to one (1) voucher per household. No cash value. Only valid in-store at participating Country Chic Paint retail locations. Voucher needs to be presented to Retailer. Expires June 2, 2018. Subject to availability. Free samples will be distributed on a first-come-first-serve basis only while supplies last. Find a participating Country Chic Paint location near you.